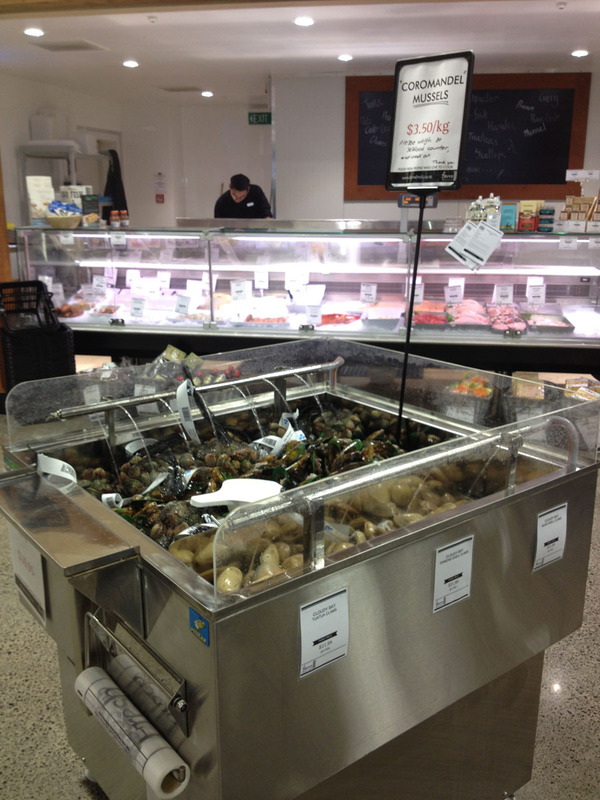 ShopAbility’s Peter Huskins takes a look around the grocery shopping experience in New Zealand, including some standout retail activation from Farro Fresh. Here we are on my first business trip back to Auckland for a few years, and I was keen to see what changes had occurred progress wise since my last visit. 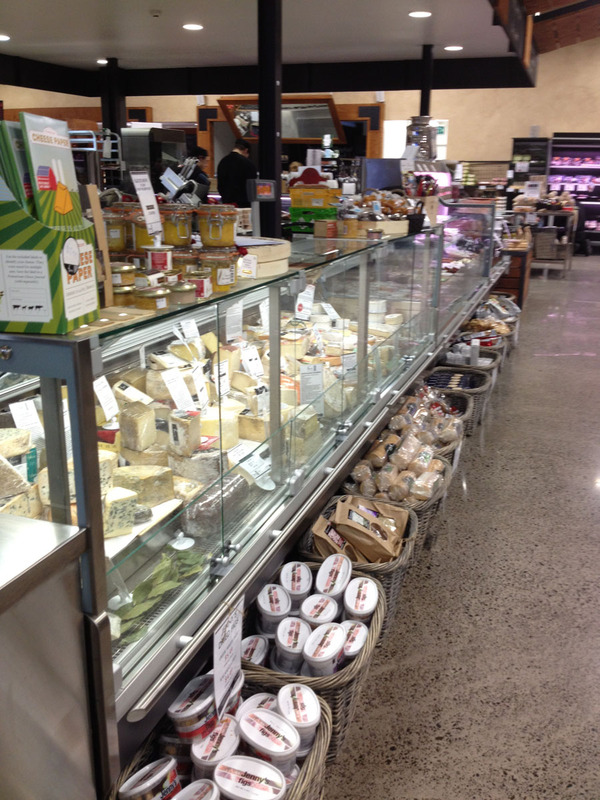 First stop was to PAK‘nSAVE at Sylvia Park in a new Centre close to central Auckland. My first opinion on entering the store was similar to my first opinion all of those years ago – a nice simple barn style operation for people who want to fill a trolley with as much stock as possible, as cheaply as possible, hopefully. No real personality, more a functional offer that draws you on a path back to the registers, loosely similar in a Shopper path to a Costco, but with Fresh at the front and no where near as much General Merchandise to distract and tempt. And hopefully you like Yellow….everything. So what has changed? My guess is little to nothing, but I suppose why change a winning formula that seems to work well, is familiar and friendly to about 55% of the New Zealand market? It is not an interactive offer like Countdown, or one filled with discovery and delight like Costco, and it is not intended to be. It fills the function of food shopping, and pantry and gut filling really well. Next on the tourist trail was to a couple of Countdowns….ooops, do I mean Woolworths? Certainly the interior décor is a direct replica but that is where a lot of the similarities end. Unlike Australia, their NZ brothers know how to cross merchandise and do it well. Cut carton displays, price tickets and activities, consumer programs and offers sprinkled with special deals tempt the “smart shoppers” who still want Value but in a better shopping environment than P&S. And the stores I visited were trading really well, so this targeting of market segments seems to be working in New Zealand which is a different market to Australia, much more price conscious and divisive (but still and again a duopoly). Both Countdowns were full of stock, staring with a very good Fresh offer in a clean well lit environment. Copying Coles Feed a Family campaign and Masterchef style programs is logical and astute and play to their target Shopper well. If it works, why not copy shamelessly, particularly when your competitor won’t or can’t. Too many price and special tickets?…maybe. Too many tempting special offers? …could be. Too many cut carton displays?…possibly. But, bolt it all together and it works well. New Zealand is a flat growth market and as mentioned, is also a duopoly so Price activity and Perception management really are tickets to the local game for the majors. Both have their individual ways of translation, which leaves a neat gap at the absolute bottom (Aldi 2013?) and then again for premium top end offers, which neatly leads me into the next store we visited. 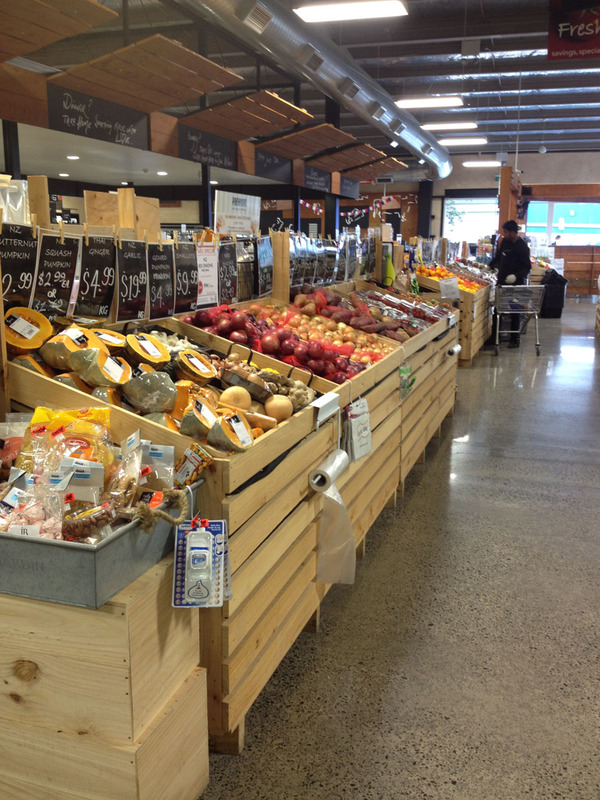 Farro Fresh is a 3 store up market “chain” in Auckland, open for about 6 years and is owned by Janene and James Draper. The offer is definitely up there as a destination store for the family looking for more than a PAK’nSAVE or a Countdown can deliver. Crisp warm colours, logos and fonts give way to a rustic timber interior, accented with stainless steel and black fixtures with lighting keenly used to accent key areas. The aim is to showcase local produce and manufacturers, supplemented by key imported delicacies and delights. There’s no Coke or Corn Flakes in here! Produce, Seafood, Meat and Grocery are all located against the walls, surrounding a central island with cheese, deli meats and small goods and a small bakery/ coffee bar. Cut carton liquor is the last walk through department on the way to the registers. The result = a food shoppers paradise. 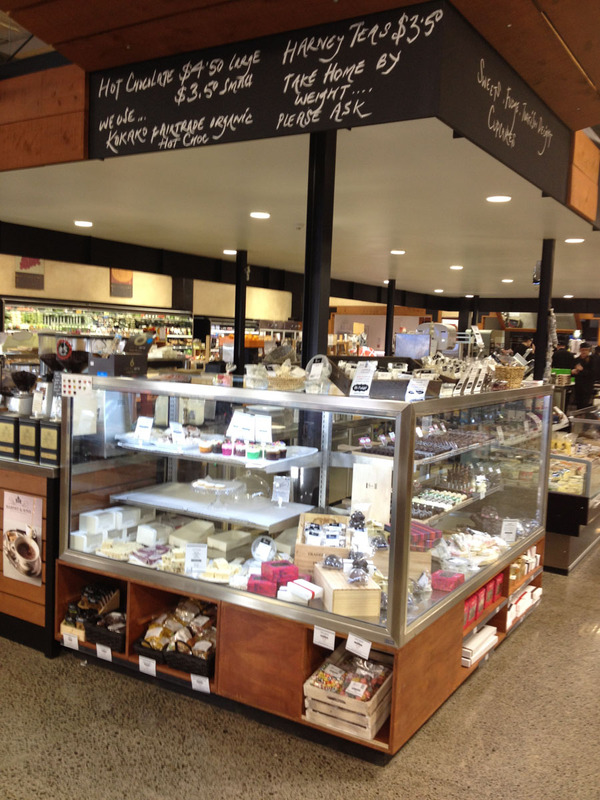 Keenly located in or near more affluent locations – Grey Lynn; Lunn Ave and Constellation Drive these stores are not intended to be Price leaders, more quality product and range leaders, merchandised in a “grazing” environment. 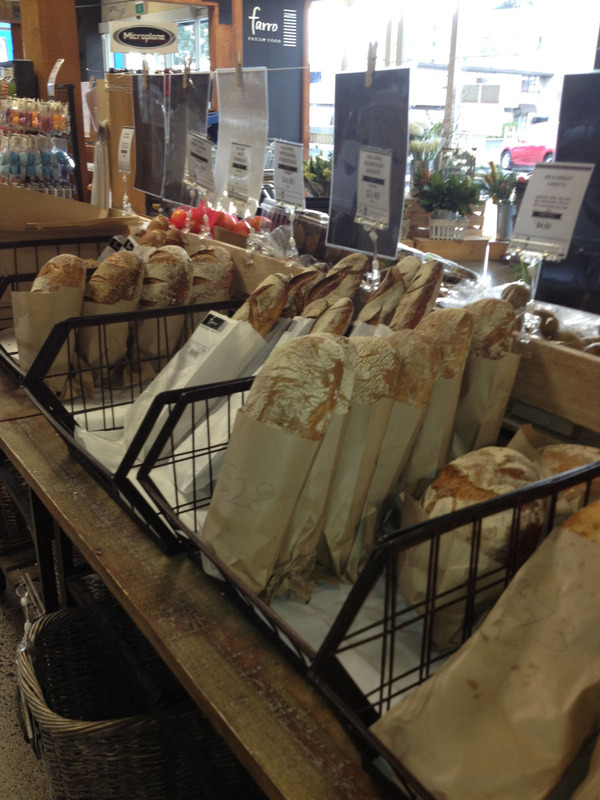 For example the Seafood dept, whilst not as good as a few of the local Australian speciality offers (…and the market is way different to here), Farro clearly outshone their more illustrious local chain competitors. And the hand made sausage range made locally by a couple of heavily accented French entrepreneurs looked like BBQ’ers delight – lean meat and large, with tempting flavour combinations. Produce is displayed in timber boxes on top of faux timber pallets at the entrance started a delightfully indulgent journey, one that their target market no doubt regularly enjoy. Janene mentioned that some regulars spend upwards of $600 per week, and I can see how you can live very well on that spend. And it’s all in a one stop shop offer, unworried by price comparisons, trading terms or case deals and heavy competitive pressure by the majors on ‘toilet paper’! Sure there are opportunities to improve, but we also visited a Jones the Grocer whilst we were there and Farro ran rings around it! We wish Janine and James well with Farro, and look forward to watching their progress. How is Digital Capability Changing the Way Your Shoppers Shop? Your end-to-end FMCG and retail partners. We offer comprehensive, end-to-end support to help you grow your business. Whether you’re a manufacturer or a retailer, ShopAbility offers a 360 degree view on how to optimise your business. With more than 50 years’ combined commercial experience including senior exec, CEO and Board levels with blue chip global consumer goods suppliers and retailers, our team brings best practice know-how in a spirit of collaboration. ShopAbility works collaboratively with the following companies and their people – we believe they’re the best in the business and we highly recommend them.